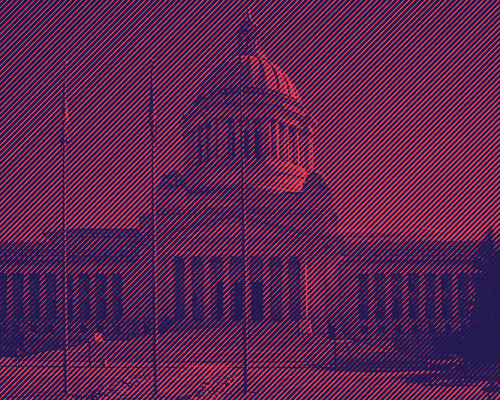 Whether it’s responding to ACLU-WA action alerts, engaging in People Power efforts, attending lobby days in Olympia, or writing and calling state legislators, there are ways every person can make a difference. Together, we can ensure laws in Washington are fair and equitable for people all over our state—in our schools, on our roads, in courts and communities. This year, for example, we will address the unfairness of a criminal charge, DWLS3, that disproportionately punishes young drivers and drivers who are people of color for their poverty, while wasting scarce criminal justice resources and failing to protect public safety. We’re also supporting legislation to keep law enforcement from using license-plate reader technology to track motorists without suspicion, creating a bulwark against overreaching government surveillance, especially the unfair and unwarranted profiling of people of color and immigrants. And because one in seven Washington workers—nearly one million people—are of immigrant background, we support a law that ensures the state’s scare public safety resources are not commandeered by federal immigration authorities, to the detriment of Washington’s families, communities, and economy, but are instead dedicated to the safety and well-being of all residents of Washington. Fairness in health care requires that all doctors, nurses, and other health care professionals can provide the resources and services that are in the best interests of their patients. But, because of prohibitions that hurt patients, and disproportionately hurt women, the LGBTQ community, and people who need end-of-life care, this often doesn’t happen. We’re supporting the Protecting Patient Care Act, which ends these prohibitions. Fairness means people shouldn’t be punished for behaviors that aren’t criminal, and that people who have repaid their debts to society are able to move on with their lives. To end the unfair and dangerous criminalization of common adolescent teen behavior, we’re supporting legislation called the Responsible Teen Communications Act. We’re also supporting the New Hope Act, a law that gives people with criminal records a fair shot at a second chance by simplifying and making more accessible the process of vacating one’s criminal convictions. Fair decisions are unbiased ones. To ensure that automated decision-making systems, which are rapidly replacing human decision in hiring, housing, health care, policing, and many other areas, are based on accurate inputs and do not perpetuate existing biases, we are proposing legislation that requires technology companies to reveal how these systems work. The Technology Fairness Act will bring transparency to realm of automated decision-making tools, allowing the government and others to inspect and analyze the performance of these systems before adopting them. Participating in the lawmaking process is one of the most powerful ways to promote fairness in our state. This is important work, and we can’t do it without you.